PETROLOG is proud to announce the arrival of its brand new, 100% Nigerian owned, Nigerian Flagged, ABS Classed, 85m DP2 Dive Support Vessel, DSV VINNICE to Nigeria. 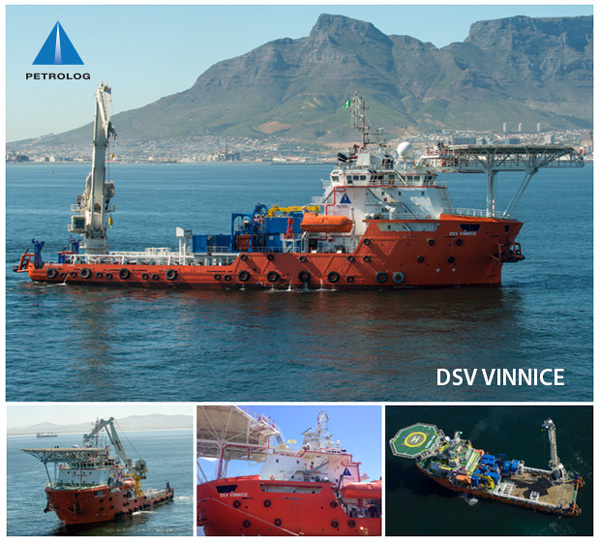 The DSV VINNICE is outfitted with a 100T AHC, 182 man capacity, 9 man saturation diving system, air dive spread, ample deck space, 4 point mooring, amongst other world class features. DSV VINNICE is a bold addition to our ongoing fleet expansion in response to the Local Content and Capacity building drive by NCDMB.